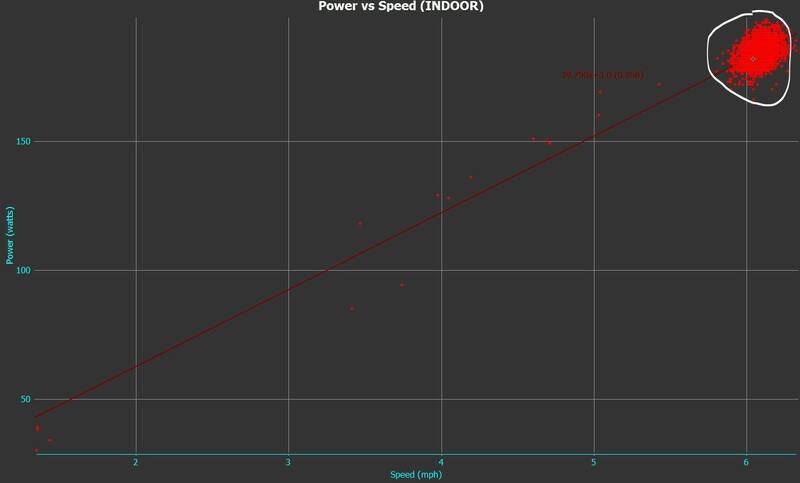 In Part 5, I mapped out the power displayed by the Cybex 770T "powermeter" treadmill against changes in speed, grade and weight. The displayed power was based on calibration with the AC motor frequency. It was an interesting exercise, showing how treadmill measured power is linearly related to the 3 parameters. A similar experiment can be done using the Stryd App by changing grade and speed however one would also have to change the weight and I didnt choose to mess with that. Mapping the information from the treadmill display reading gives me reasonably good information for indoor workouts. Today's post examines something much more fundamental : the relationship between volume of oxygen uptake against external mechanical power measured by Stryd (as opposed to total mechanical power, see Appendix Fig.2). 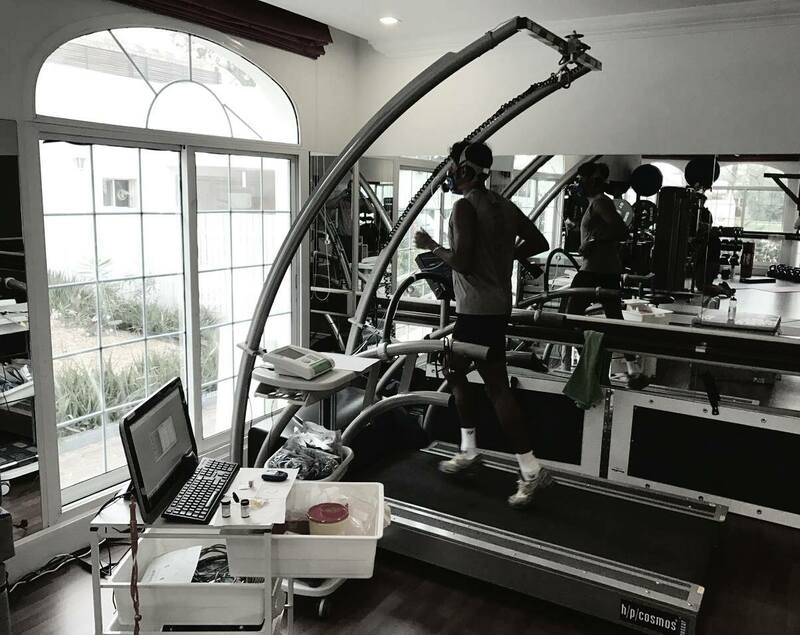 The objective of this test was to examine how closely related are measured VO2 and footpod based running power. The insights I got from this test are given at the end of this post in blue italics. 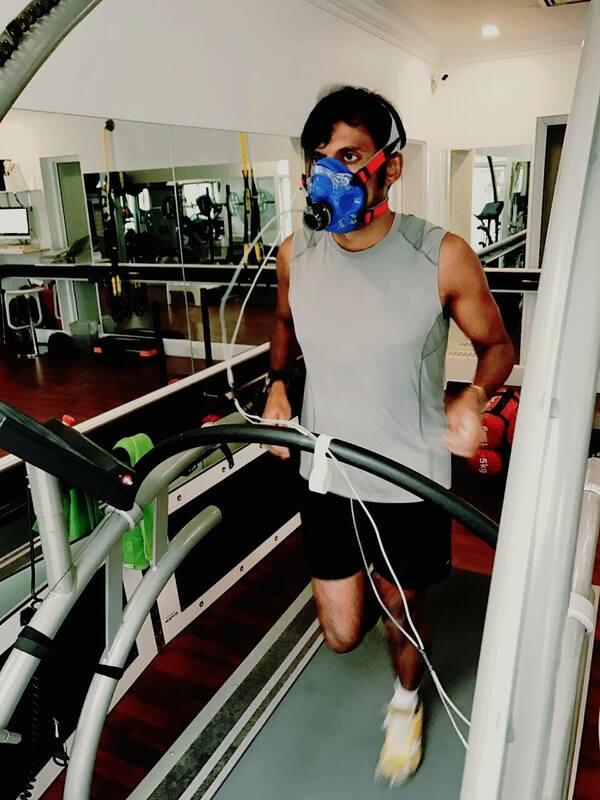 A week ago, I participated in a 20 minute graded VO2max test at a well established professional sports medicine laboratory in Dubai. The test was conducted on a lab worthy treadmill and using all standard equipment as employed in standardized VO2max tests at other facilities. Treadmill belt speed was increased from 8km/hr to 16km/hr in 3 min increments to capture not only the "linearly" rising component of VO2 but also the "settling" value at each speed. The machine was set to 1% incline as is standard practice. The test ended at what point the sports consultant Dr.Ramzy Ross thought was a reasonable place to stop based on maximal VO2 stabilization, HR and samples of my blood lactate taken at regular intervals by prick method. Two lactate turnpoints were discovered. During the test, I was wearing the Stryd footpod on my right shoe. Because operating the Stryd phone app was impossible during the fatiguing test, I relied on saved offline data to form the following conclusions. VO2 curve can be approximated as linear but it really isn't. Below is the result from the preliminary graded VO2max test. I've hidden absolute values of VO2, the point being to show here the "rising" component and the "settling" component of the VO2 curve (blue color). Fig 1 ; Preliminary result showing HR and specific VO2 during course of a graded VO2 max test performed on the author. Incline grade = 1%. Since instantaneous power data was from a foodpod not related to the VO2 equipment, careful stitching of the data had to be done. In other words, if the raw data from the VO2 test has a different sampling time than the Stryd data (every second), you will not be able to piece together the two information correctly. After some post processing, the best way I have found to present the data with respect to speed is through individual box plots of VO2 and power. 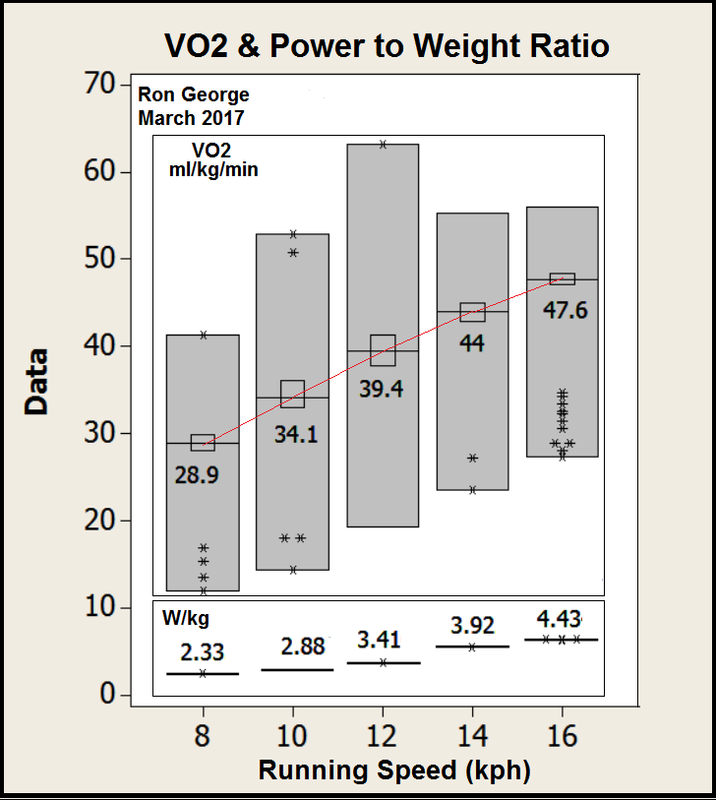 In the following figure, both power and VO2 are normalized to weight. 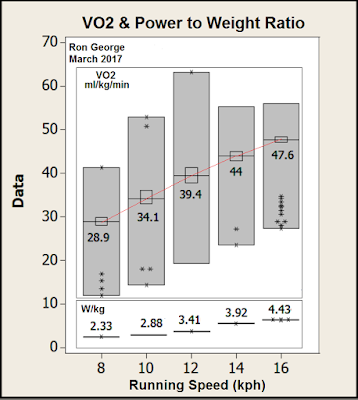 Fig 2 ; Box plot of VO2 values with corresponding power to weight ratios at specific speeds during a graded VO2max test performed by the author. Median values of VO2 range are connected only for sake of representation. 1. Because of the fluctuation of oxygen demand and the nature of the stabilization curve, VO2 data exhibits a range of values at specific speeds (represented by the boxes in Fig.2). The range of Stryd measured power to weight values is, on the other hand, tighter (which is good). Connecting median values of VO2 box plots, it can be seen that an increase in speed accompanies both an increase in VO2 and power to weight ratio. 2. A linear regression relationship between range of VO2 values and the range of power to weight values suggests the following math, based on a R squared value of 52%. In other words, looking at the entire range of non-linear VO2 values, only a little more than half of that data is explained by corresponding power to weight values through a linear equation. This is specifically because of the nature of the VO2 curve - it is not linear. 3. It is possible to look at the mean (or perhaps median) values of VO2 and mean values of power to weight ratio for each speed and correlate both of them. Mean values can signify the "steady state" value of VO2. This way, the relationship becomes more linear and the linear trend line shows an R-sq value of 99%. 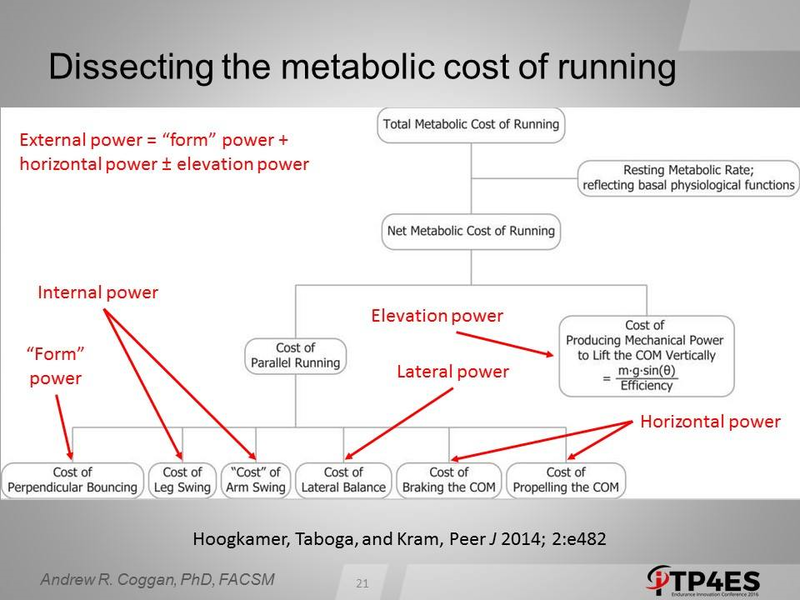 This helps to "approximate" a steady state metabolic cost from just power data alone. Fig 3 ; Linear trend between mean value of VO2 max and mean power to weight ratio for specific speeds during a graded VO2max test performed by the author. 4. When the VO2max test incorporates a blood lactate test, it is possible to know what values of VO2, HR and also running power correspond to the lactate turnpoints (lactate thresholds). It is believed in the latest exercise science literature that lactate is not a waste, rather it is a source of energy and also a prevention mechanism against fatigue. However, a host of processess associated with fatigue occur around the lactate turnpoints. By having knowledge of the power values associated with these turnpoints, it is now directly possible to target "high power" training zones around those markers, rather than using someone else's interpretation of what your thresholds should be. Please note that in making the above statement, indoor running power and outdoor running power are assumed to be close if you do not account for wind resistance. Please see appendix plots showing a narrow band of power values (185-190W) for jogging at 6mph. 6. If you assume 20.1 Joules of energy per ml of O2, the steady state VO2 values can be converted to a steady state metabolic energy cost. Subtracting the resting metabolic rate requirements from this value then gives you a relationship between net metabolic rate per kg and mechanical power to weight ratio for steady state running. Dividing the mechanical power to weight ratio by the net metabolic rate per kg gives you a predicted efficiency. 7. VO2 and power values are very individual and vary with training (or lack of). I do not believe it is correct to use someone else's VO2 data and use their VO2-power correlations to derive one's own physiological "state". The Dutch researchers Hans van Dijk and Ron van Megen have written on their blog that test data from 14 runners show differences in the VO2-power relationship because some happen to be more economical than others. Caution should be exercised while estimating VO2 from power, especially at submaximal running speeds. In other words, there is no one absolute formula to estimate VO2 using power values and such approximations do not substitute for actual lab testing. That said, it is encouraging to see the proportional relationship of oxygen demand and measured running power for use in one's own study of training and racing performance. Stay tuned for more. In the next post, I will show how I utilized running power metrics during a local duathlon in Dubai. Stryd does not account for wind resistance so on level ground, I'd be suprised if the power readings are too different between treadmill and outdoor running. 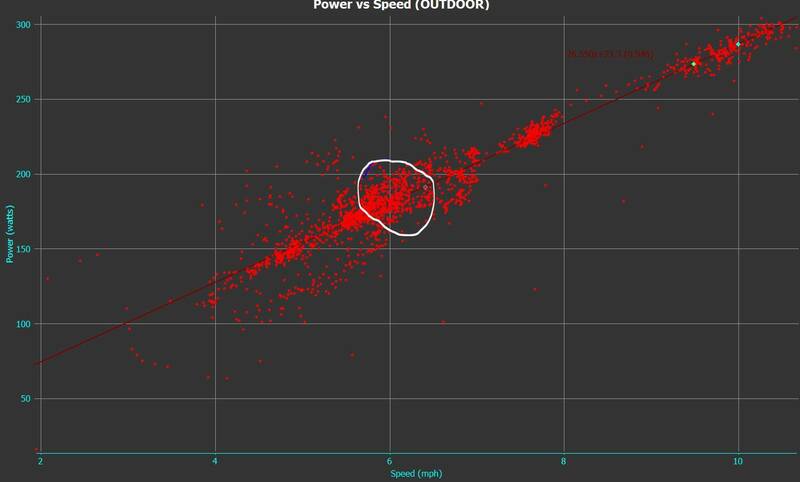 See the two plots below, where at a slow jog at 6mph (10min/mile), I'm seeing a 180-190 wattage band for both scenarios. Such observations, I believe, are device dependant. Please experiment extensively with your footpod for establishing indoor and outdoor power values. 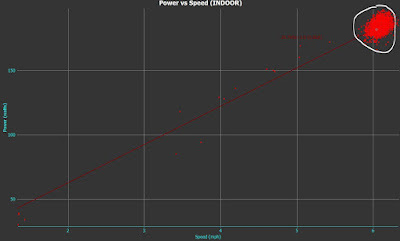 Appendix Fig 1: Two plots showing running power at a slow jog of 6mph while running indoor and outdoor (both circled). Appendix Fig 2: Components of external power measured by Stryd which flows into the metabolic cost of running. 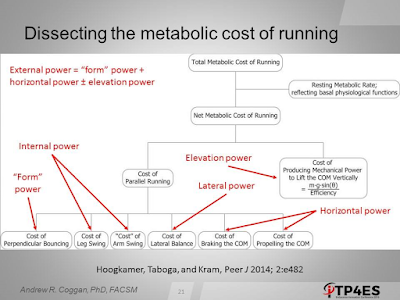 Slide adapted by Andrew Coggan, where he took a graphic developed by Hoogkamer, Taboga, and Kram, which depicts the various metabolic costs of running and their power components.